On July 19th, the Riviera Nayarit’s Paradise Village Marina will welcome some 50 vessels coming in from the United States, Canada and Mexico. 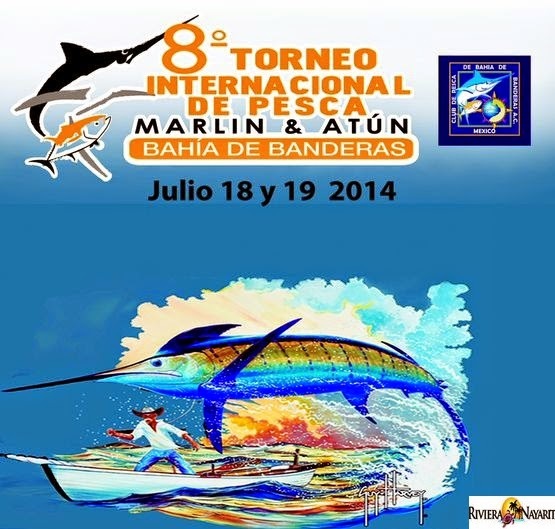 The 8th annual International Banderas Bay Fishing Tournament will take place on July 19th, hosted by the Paradise Village Nuevo Vallarta in the Riviera Nayarit. This competition expects to welcome about 50 vessels, 80 percent of them from the United States and Canada, with the balance made up of Mexican competitors from Tepic, Guadalajara and Tampico, among others. The first place purses include $60 thousand Mexican pesos for marlin; $50 thousand pesos for tuna; $40 thousand pesos for mahi-mahi and $25 thousand pesos for sailfish. All species receive prizes from first through fourth place, each with different in-kind awards from sponsors. As far as the mahi-mahi and the sailfish are concerned, there will be a jackpot for the largest fish caught for $500 pesos per registered boat; this fee covers the $7 thousand peso registration fee; for the marlin and tuna, those who wish to participate need to chip in an extra $200 US dollars. Registration is July 18th at the Paradise Village Yacht Club from 5 p.m. through 10 p.m. The tournament begins on the 19th at 4 a.m. leaving from the Paradise Village Marina. It ends at approximately 6 p.m. with the awards ceremony at the Amphitheater. This event drives the sport of fishing and the Riviera Nayarit in order to increase tourism, which in the end benefits all of the citizens of Nayarit. For more information visit www.fishingnayarit.com.